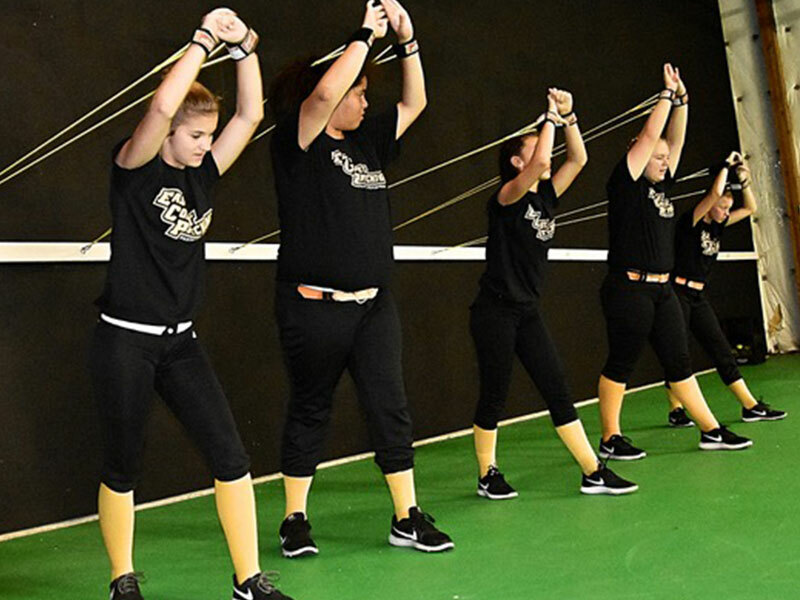 Proven softball training that works, for the player AND the team. East Coast Pitching has a program for every athlete, regardless of age or skill level. Our training programs and services have been fine-tuned over a decade of successful coaching. Whether you are an athlete just starting out, or a rising star who needs specific help, WE CAN HELP YOU! 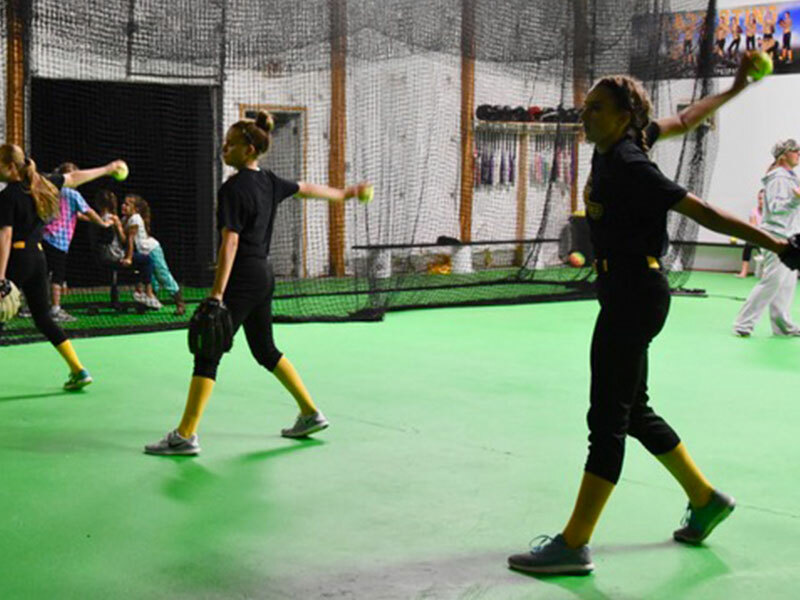 For athletes looking to progress to a higher skill level, East Coast Pitching offers private one-on-one lessons for players of all ages and skill levels. These interactive lessons are possibly the the fastest and most effective way to increase pitching skill. Lessons are guided by specialty ECP instructors, and are selected based on the individual players’ needs. We recommend the one-hour lessons because they allow for in-depth discussion and more individual attention. 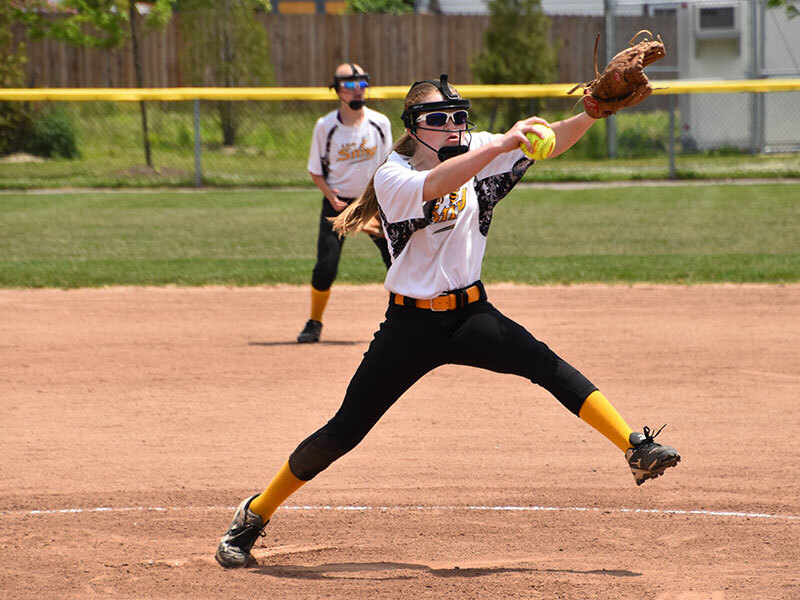 These lessons are not only for softball pitchers—a private pitching lesson can improve hitting and throwing as well. Private hitting lessons are a great way to fine-tune your swing and increase your hitting stats. 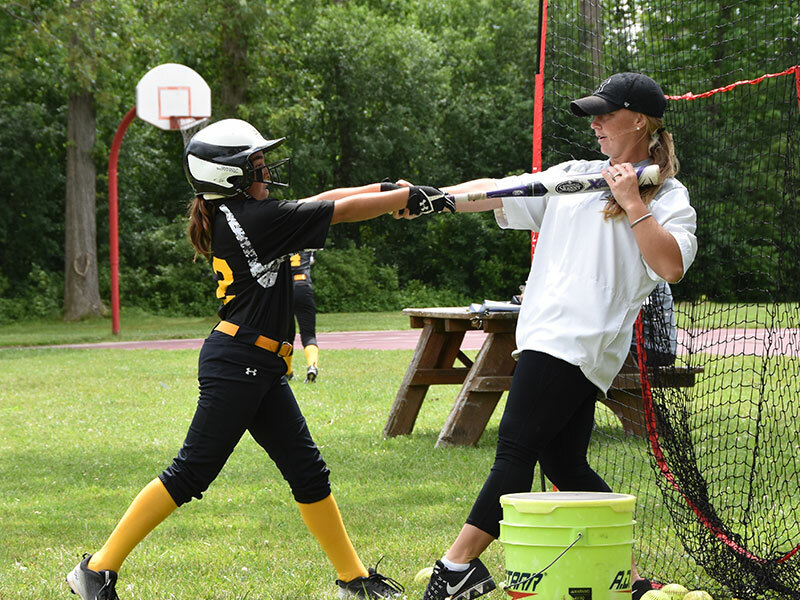 Lead by a personally selected trainer, ECP’s private lessons are a fast-track to improving your softball hitting, much faster than a camp or clinic. With personal attention to your stance, swing, follow-through, and style we can make minor adjustments that will make a great difference. 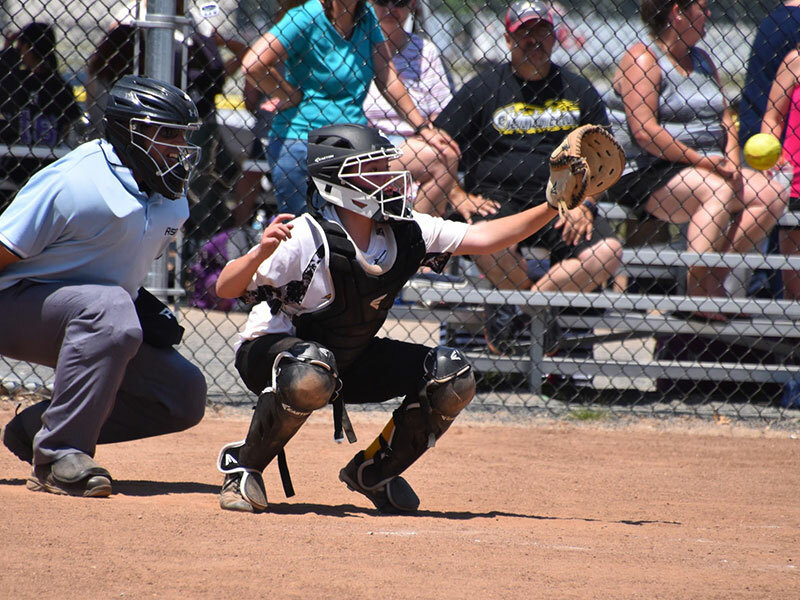 Private catching lessons are great for every player, whether you’ve been playing for a year or a decade. With an ECP catching specialist, we will go over fundamentals, proper technique, and maybe learn a few tricks-of-the-trade. Never drop a ball again! 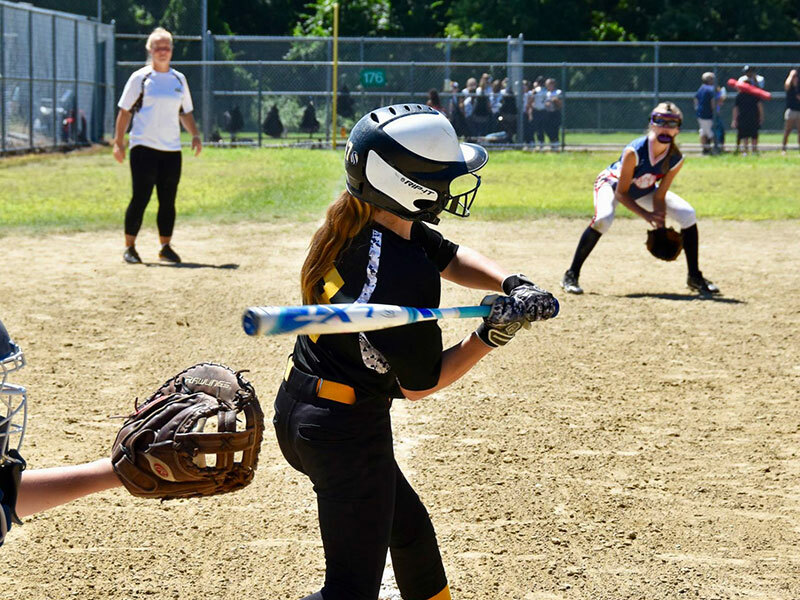 Looking to fine tune your overall softball skills in hitting, fielding, pitching, catching, baserunning, etc.? Private skills lessons are tailored just for you! Let us know if you prefer 30 minute or 60 minute sessions and the skills that you would like to improve and the ECP staff will make it happen. Lead by a collective of ECP’s finest trainers, group pitching lessons great for a team, town, or group of pitchers looking to increase their skill. Group lessons are an amazing way to have fun, learn new techniques, and build a sense of community within your players or friends. Details: Pitching clinics are held all-year round in 4, 6, or 8 week sessions. There is a minimum of four players and maximum of ten players per hour—this ensures individualized attention for the players. Clinics are held weekly to provide players with a consistent, affordable option. Clinics are held on-site at one of our 3 locations and also off-site. If you are interested in hosting a clinic in your town, organization or league, please contact Janelle Carlson directly. Group hitting lessons instructed by ECP’s hitting specialists are a great way to hit harder, better, and farther. Group lessons are an amazing way to have fun, learn new techniques, and build a sense of community within your players or friends. Details: Hitting clinics are held all-year round in 4, 6, or 8 week sessions. There is a minimum of four players and maximum of ten players per hour—this ensures individualized attention for the players. Clinics are held weekly to provide players with a consistent, affordable option. Clinics are held on-site at one of our 3 locations and also off-site. If you are interested in hosting a clinic in your town, organization or league, please contact Janelle Carlson directly. 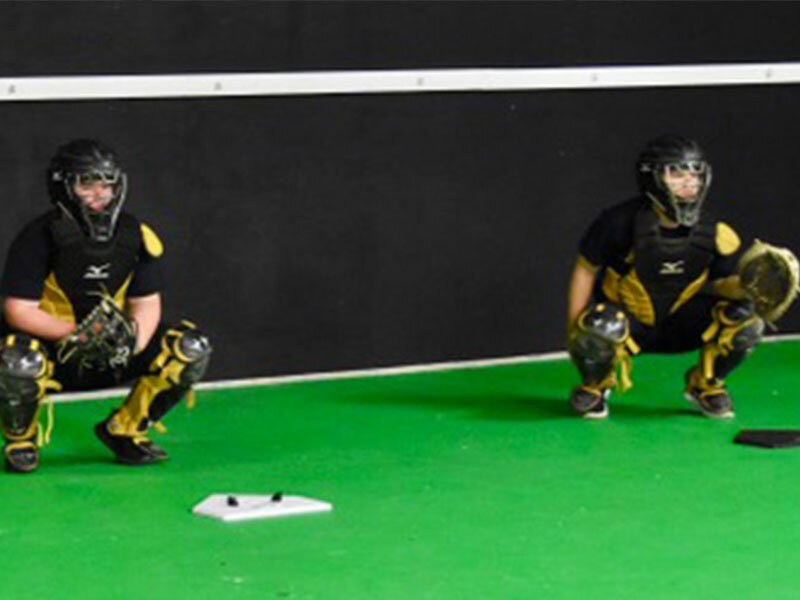 Group catching lessons are the best way to increase skill behind the plate. Group lessons are an amazing way to have fun, learn new techniques, and build a sense of community within your players or friends. 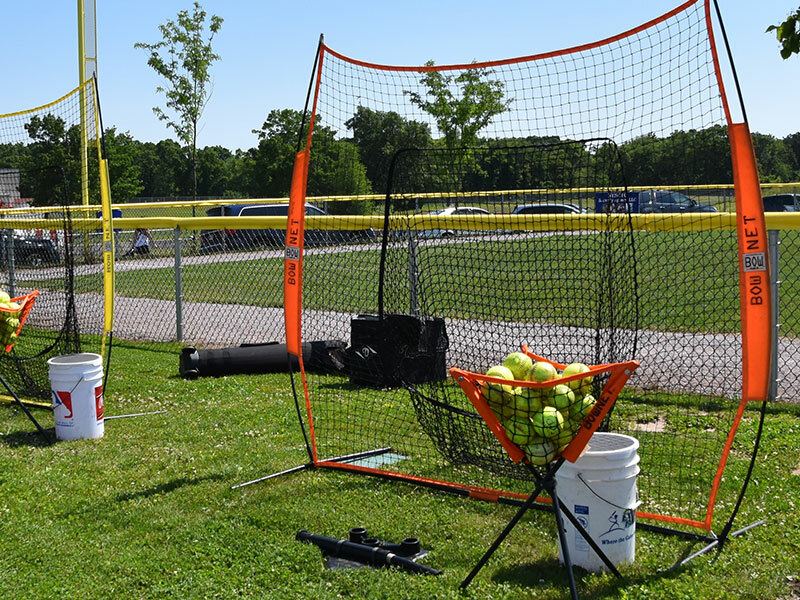 Details: Catching clinics are held all-year round in 4, 6, or 8 week sessions. There is a minimum of four players and maximum of ten players per hour—this ensures individualized attention for the players. Clinics are held weekly to provide players with a consistent, affordable option. Clinics are held on-site at one of our 3 locations and also off-site. If you are interested in hosting a clinic in your town, organization or league, please contact Janelle Carlson directly. 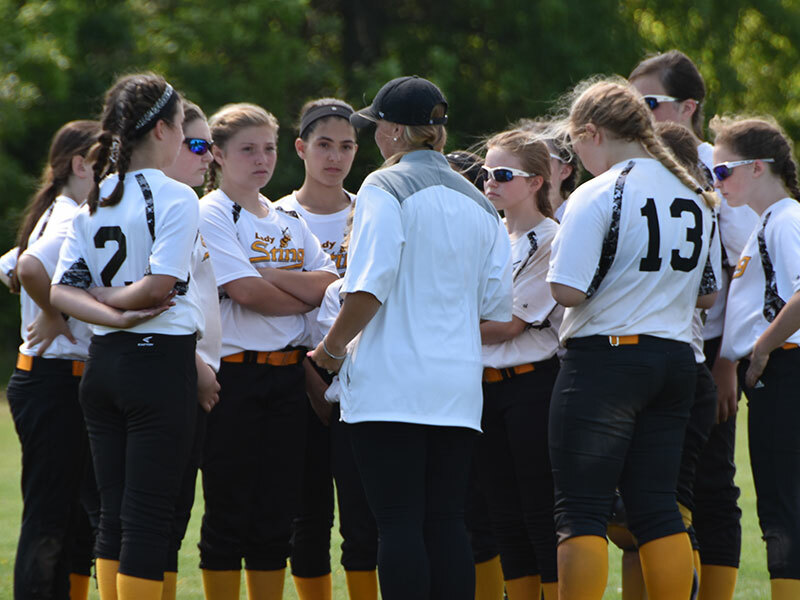 ECP’s skills clinics are meant for overall player development across all disciplines of softball. Group lessons are an amazing way to have fun, learn new techniques, and build a sense of community within your players or friends. Details: Skills clinics are held all-year round in 4, 6, or 8 week sessions. There is a minimum of four players and maximum of ten players per hour—this ensures individualized attention for the players. Clinics are held weekly to provide players with a consistent, affordable option. Clinics are held on-site at one of our 3 locations and also off-site. If you are interested in hosting a clinic in your town, organization or league, please contact Janelle Carlson directly. 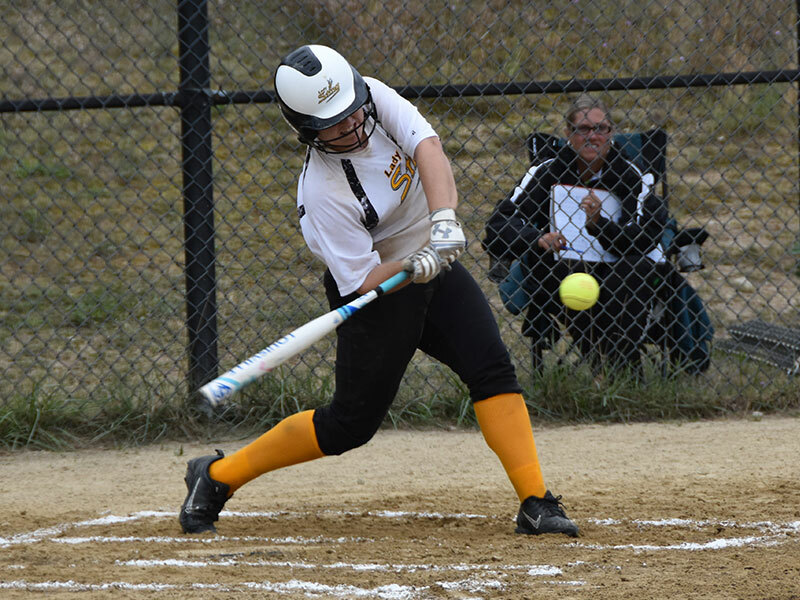 Any competitive athlete can benefit from increase strength and agility, and softball is no different. With a specific workout, players will work on throwing and hitting power, foot and leg speed, balance, core strength, and more. Playing at the top level means your body needs to train at the top level. At a certain point, arm strength and training will make a difference in a players ability to throw far, fast, and accurate. With an Arm Strength and Conditioning sessions, athletes will receive a custom workout tailored to turn their weaknesses into strengths! 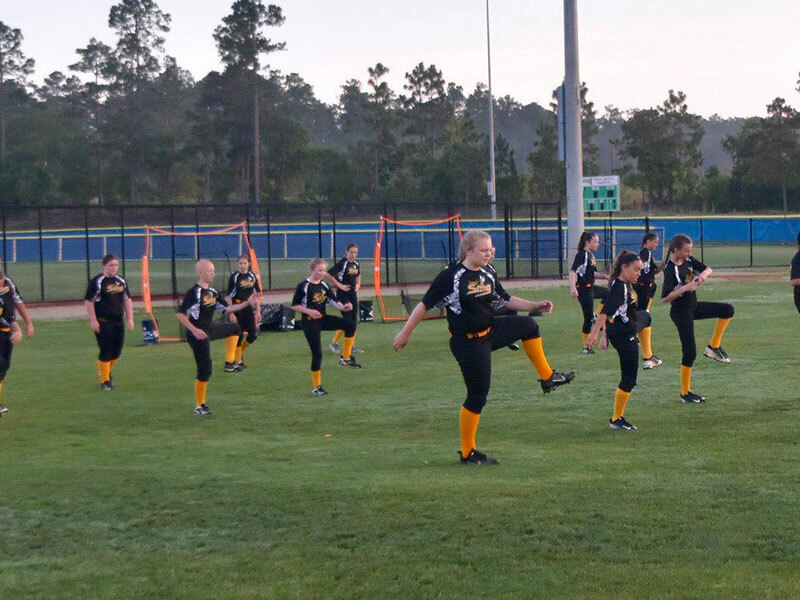 The physical and mental benefits of yoga have direct correlations to softball. Increased flexibility, better breathing, mindfulness... the list goes on. Lead by ECP Yoga instructor Erin Poyant players get a custom yoga session aimed at stretching primary muscle groups, building core strength, and breathing techniques. 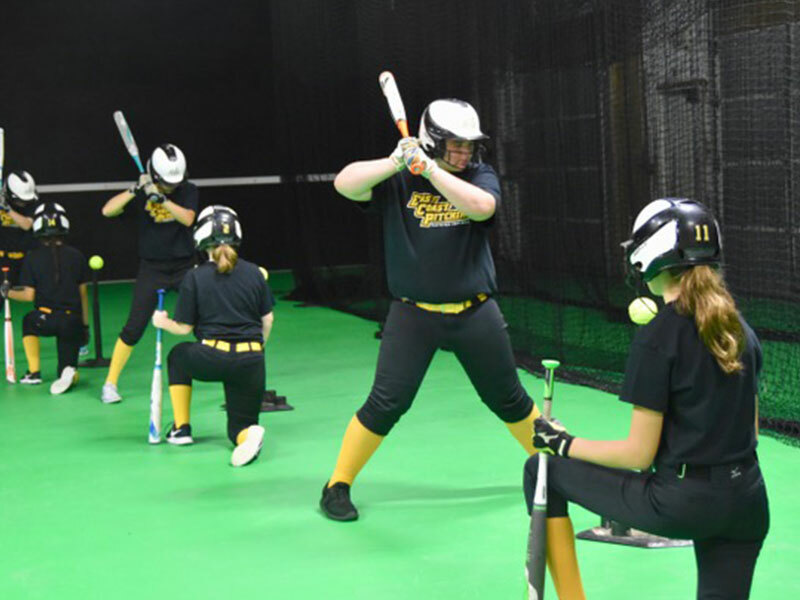 Softball camps allow players of all skill levels to be challenged every day at our state of the art facilities with detailed instruction and skill stations. Players will be taught in an atmosphere that allows players to learn, understand, succeed and most importantly, have fun. With the help of video technology, an ECP Video Analysis can reveal hard evidence (good or bad) on various hitting, catching, or throwing techniques. A video assessment can show many dysfunctions that might otherwise not be seen with the naked eye. Video analysis can be done by either submitting your own video clips, or by consulting with an ECP instructor. A video analysis followed by a private lesson can greatly impact a players technique by showing where problems areas are and working together to fix them. 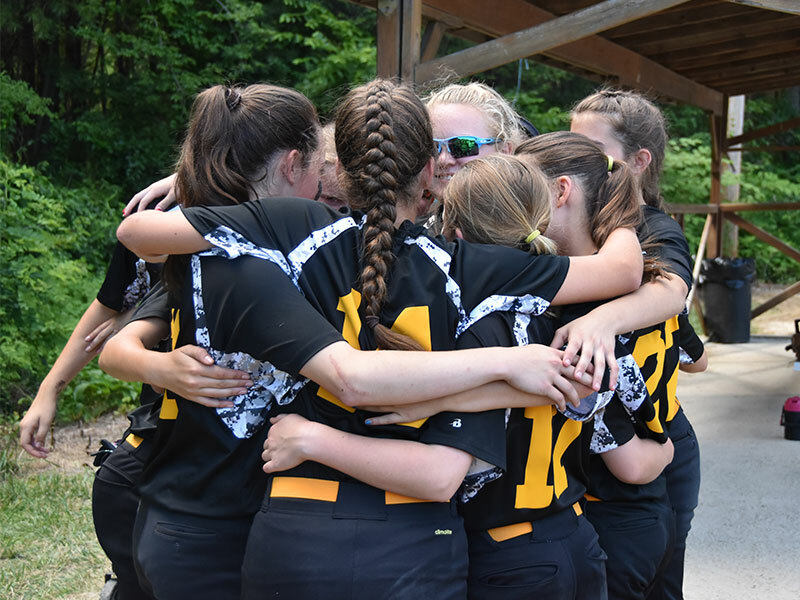 East Coast Pitchings’ very own Lady Sting Club teams give your player the competitive edge in the 10U, 12U, 14U, 16U and 18U age levels to play at the highest level of competition on the east coast. 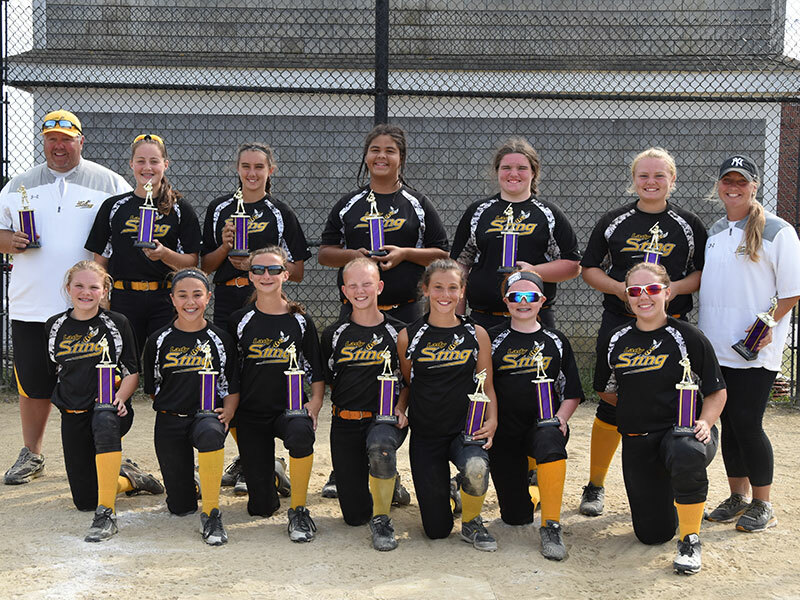 A sought after organization, Lady Sting is an invite-only club team. If you or your daughter are interested in joining the ranks of Lady Sting, please contact Janelle Carlson. Dedicated to inspiring young athletes. © East Coast Pitching, 2018. All Rights Reserved.